A conceptual rendering of how Jackson Hole Junction might be laid out. 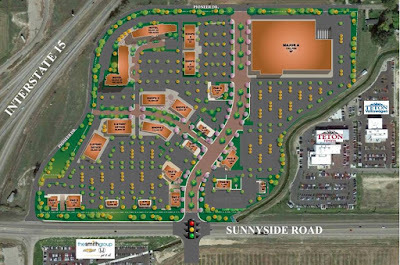 There will be a groundbreaking ceremony Thursday morning at 11 on the Jackson Hole Junction development, on Sunnyside Road between Teton Toyota and Interstate 15. The 42-acre project was announced in June 2015. Matt Morgan of Morgan Construction is spearheading the project. 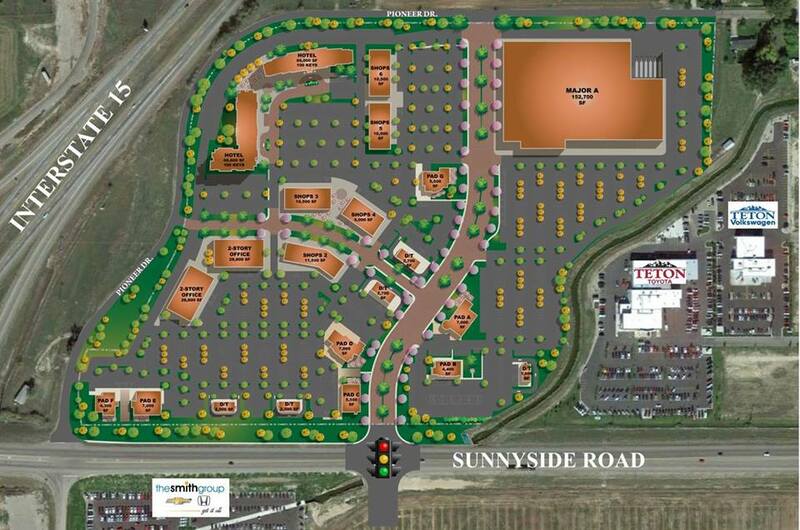 Millions of dollars in development has taken place since Sunnyside Road was connected with Interstate 15 in 2007: Teton Toyota and Teton Volkswagen, Smith Honda and Smith Chevrolet and Ron Sayer BMW, which is due to open in spring 2017. Morgan told the Post Register in 2015 that the conceptual plan for Jackson Hole Junction calls for one big box store and a hotel, banks, a gas and convenience store, fast food restaurants and sit-down restaurants, smaller retailers and some two-story office space. He said they plan to develop the land in phases over five to seven years.